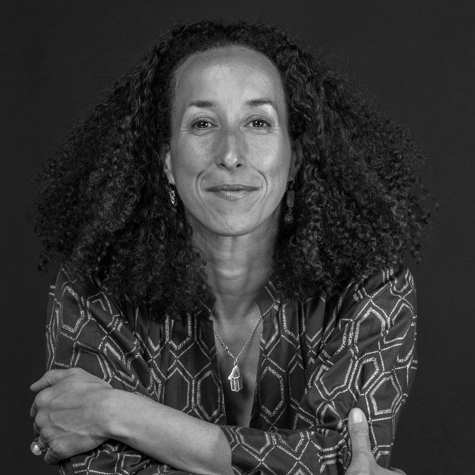 Cheryl Finley is Associate Professor of Art History in the Department of the History of Art and Visual Studies at Cornell University in the United States. She holds a Ph.D. in African American Studies and History of Art from Yale University. She is the author of the monograph, Committed to Memory: the Art of the Slave Ship Icon, the first in depth study of the most famous image associated with the memory of slavery (Princeton University Press, 2018) and contributor to My Soul Has Grown Deep: Black Art from the American South (Yale University Press, 2018), which accompanies the exhibition History Refused to Die: Highlights from the Souls Grown Deep Foundation on view at the Metropolitan Museum of Art in New York through September 23, 2018. As a curator of contemporary African diaspora art, photography and performance, Dr. Finley contributed the multimedia installation African Diaspora Room to the inaugural exhibition of the August Wilson Center in Pittsburgh in 2010 and co-curated 3x3: Three Artists/Three Projects, David Hammons, Maria Magdalena Campos-Pons, Pamela Z for the 2004 Dak’Art Biennial of Contemporary African Art in Dakar, Senegal. Dr. Finley is also the curator of Re-dedicate: Ghana@ 50!, the photography exhibition celebrating the 50th anniversary of Ghana’s independence, at the W.E.B. Du Bois Center in Accra (2007). Dr. Finley’s current research includes the interdisciplinary project, Black Market: Inside the Art World, which examines the global art economy, focusing on the relationship among artists, museums, biennials and tourism; the exhibition, The Art and Conscience of Fashion, which considers the role of appropriation and art in the history of African and popular fashion; and the collaborative project on the contemporary migration crisis in the Mediterranean and at the US/Mexico Border, Visualizing Travel, Gendering Diaspora, with colleagues Leigh Raiford (UC Berkeley) and Heike Raphael- Hernandez (U. Wurtzburg). "An original and brilliantly conceived account of how the horrors of the transatlantic trade in human cargo have been visualized in art and culture over more than two centuries. Finley has written a nuanced and provocative book that leaves an imprint on one's mind as indelible as the slave ship icon itself." - Kellie Jones, author of EyeMinded: Living and Writing Contemporary Art. "Stimulating and insightful. Finley hones in on the cultural and political strategies that have animated and illustrated the impact of the Atlantic slave trade." - Deborah Willis, author of Posing Beauty: African American Images from the 1890s to the Present. Click here to view the Cornell Chronicle feature on Committed to Memory. The Art of the Slave Ship Icon.